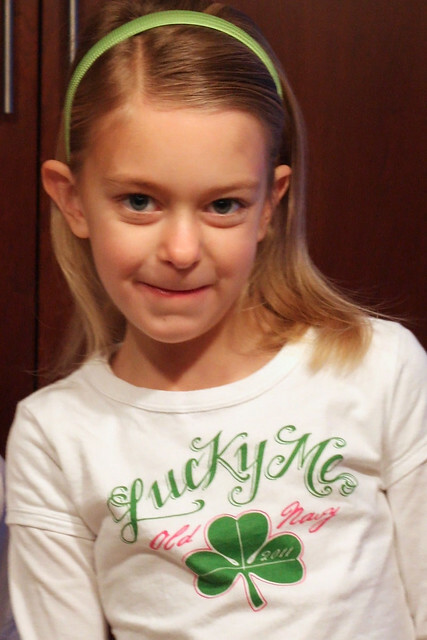 After dinner tonight, the whole family got outfitted with their $5 Old Navy St. Patrick’s Day t-shirts. 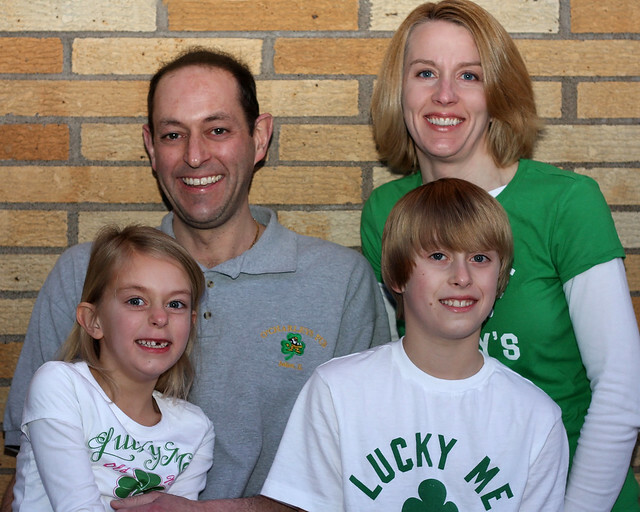 Mike had to find an old St. Patrick’s Day polo in the closet after finding that his Old Navy t-shirt shrunk when I pre-washed it – sorry! 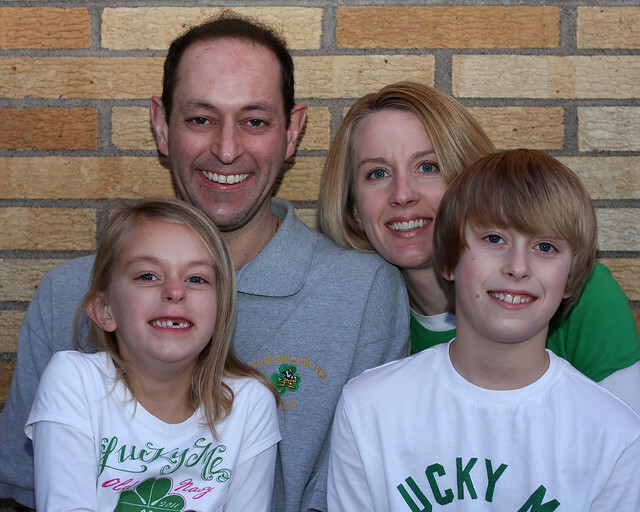 We stepped outside on the back deck and took a nice Irish family photo. We didn’t get a “perfect” shot, but I liked this one too. Mike…not so much. Sophia had the cutest t-shirt.